For the first time in a physical format! 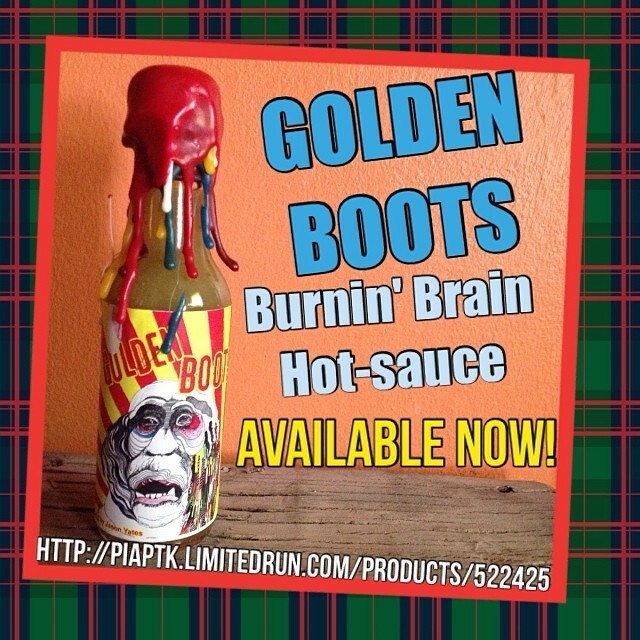 The classic Golden Boots album gets reissued in the form of Hot Sauce! 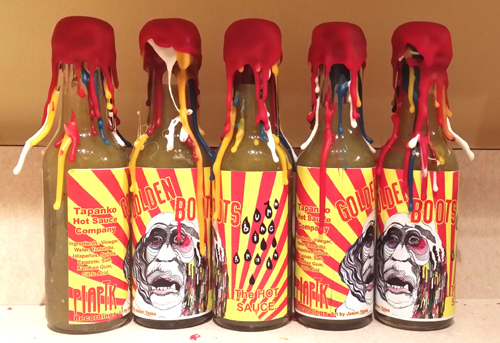 Made by Tapanko Hot Sauce Co and hand-dipped in 7 layers of colored sealing wax. Despite the name, this hot sauce is not mind-blowingly spicy. It has a very delicious, sweet, citrusy flavor, and a nice warmth that creeps in after the flavor arrives. 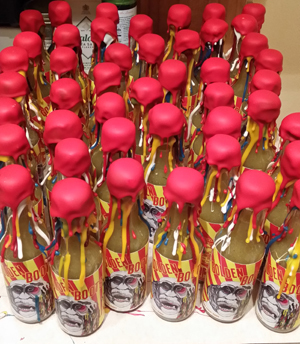 Ltd Ed of 85 bottles.